For many in Argentina, soccer is almost a religion. For a few, it is exactly that. Argentina is home to a religious movement called the Maradonian Church which venerates Diego Armando Maradona as a god. Born on October 30, 1960, on the outskirts of Buenos Aires, Maradona made 91 appearances for Argentina, scoring 34 goals. He played in four World Cup tournaments for his country. 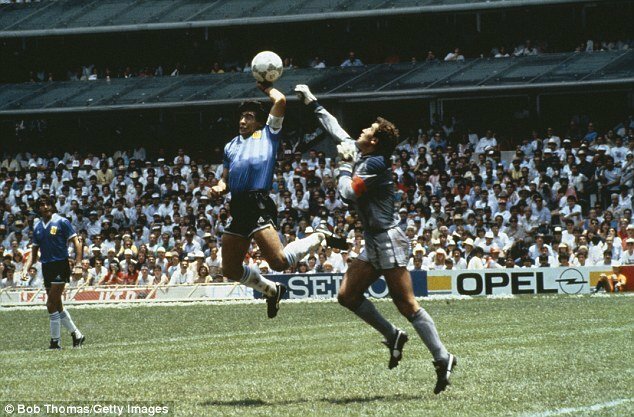 Maradona also holds the record for making the most number of appearances as captain of any country in a World Cup. He is the third highest goal scorer for Argentina, behind Gabriel Batistuta and Hernan Crespo. 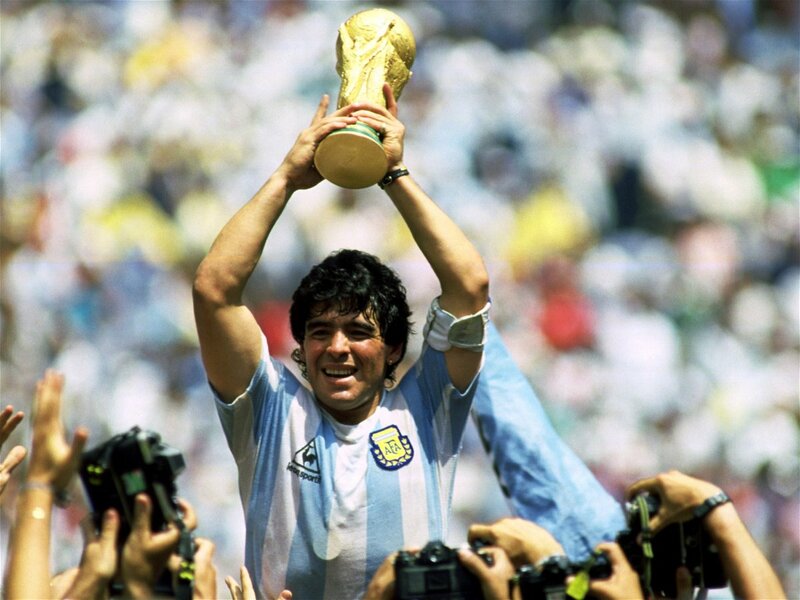 Diego Maradona lifts the World Cup trophy after victory in 1986 final.